I’m excited to announce that my office is now offering LED skin therapy! 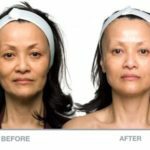 This is an effective and affordable technology for achieving healthy, glowing skin. It is a very relaxing treatment that can be used as a stand-alone service or to enhance results after microcurrent. 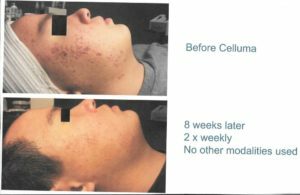 LED phototherapy is a clinically proven, non-chemical, non-invasive alternative to skin rejuvenation. It uses light energy to improve cellular performance! Combine with MICROCURRENT for enhanced results! 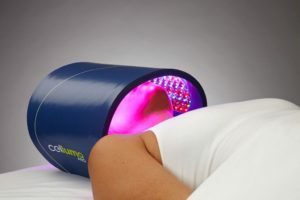 Originally researched and developed by NASA, low-level light therapy is the application of light energy to the body to obtain therapeutic benefits. It produces a natural photo-biochemical reaction similar to the process of plant photosynthesis and has a wide range of beneficial applications across many medical fields. 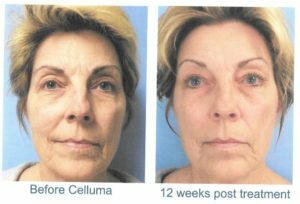 Research has shown that phototherapy can increase circulation, accelerate tissue repair, decrease wrinkles, reduce inflammation, kill acne bacteria and improve skin tone, texture and clarity. Biophotonic (LED light) therapy is clinically proven to be safe. It has been studied extensively in Europe and the US for over thirty years and has been the subject of over 2,500 scientific papers published worldwide. There are not reported negative side effects to the therapy, which is painless, non-toxic and compliments many traditional therapies. *NOTE: This panel uses LEDs only…there is absolutely no UV light!